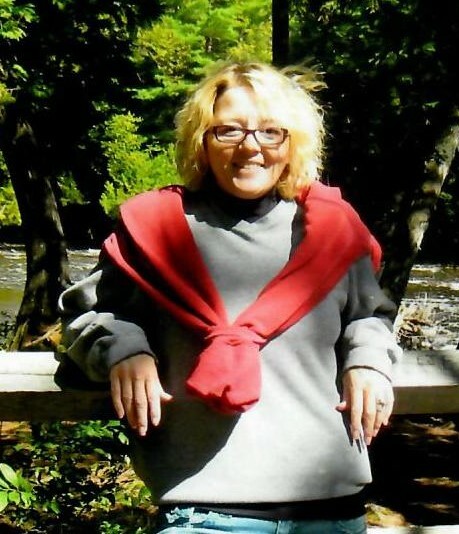 Shannon Sue Vandenboss Zemla Wood, age 47 of Walker, went home to be with Jesus on February 5, 2019 at her home. She was born in Cadillac on April 12, 1971 to Terry Lee & Sally Suzanne (Pollington) Vandenboss. She married Dennis Earl Wood on January 18, 2012 at Lake City. Shannon graduated from the McBain Public High School, received her LPN degree from Mid- Michigan College and her RN degree from Northwestern Michigan College in Traverse City. She had worked for Community Mental Health in Cadillac and was presently working at Merrywood Health Center in Grand Rapids. She enjoyed gardening, shopping, and doing crafts. She loved caring for people as a nurse, and was dedicated to her family. She was the life of any gathering, with her infectious laugh bringing a smile to every face. She is survived by her husband, Dennis Earl Wood of Walker, one daughter, Brittany (Garick) Vanas Hill of Cadillac. Also, surviving are her parents, Terry Lee and Sally and Ed Zemla, five siblings, Terri Lanita (James) Buley of Lake City, Angela Zemla of Holland, Patricia Posey of Jackson, Abe Zemla of Houghton Lake, and Torry (Kendra) Vandenboss of Lake City. Her former husband Danny Vanas Jr. of LeRoy is also surviving along with her loving family of aunts, uncles and cousins. She was preceded in death by her grandparents, Albert and Ann Pollington, Peter and Shirley Vandenboss, Kate Zemla, father in law, Chuck Wood, brother in law, Jack Wood and an aunt, Rhonda Vandenboss.